End of Summer Open House! Posted in House, Island, Skybox. The lush greens of THE DREAMING FOREST with beautiful sculptures are eye catching. The peaceful environment amidst the presence of nature is soul satisfying. While I visited the forest, I was greeted with a warm welcome by the owners of the land. 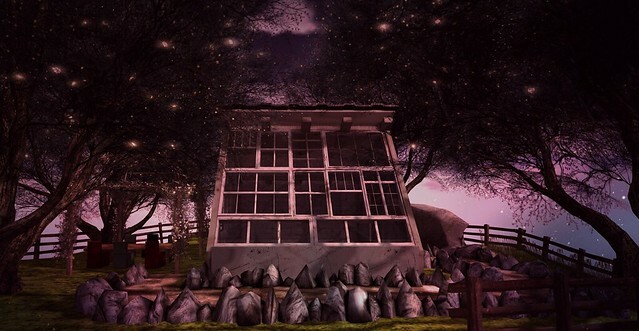 The Dream Forest is looking for Second Life artists and photographers to display their creativity. An artist can display their work for a month without any monthly tier. It is a great opportunity for upcoming artist to showcase their talent to the public. While enjoying the beautiful scenario and warmth of the sun, I received a message from the Relay for Life Volunteers Group. I thought to share with you all. The Relay for Life Fundraising Event starting September 1st, 2014 to October 31st, 2014. This event will be concentrating on making strides against Breast Cancer. The theme chosen for the year 2014 is “Seasons of Pink“.